AGC Networks Limited, (BSE: 500463 and NSE: AGCNET), a Global ICT Solutions Provider and Integrator in Unified Communication, Network Infrastructure, Data Centre & Virtualization and Enterprise Applications, announced the appointment of Amal Thakore as the Chief Financial Officer (CFO). He takes over from V Srinivasa Raghavan. As Chief Financial Officer, Amal Thakore will be responsible to enhance corporate reporting and financial controls to streamline overall business and stabilize operations. In this role, Amal will focus on all the financial operations of AGC Networks while leading the company’s engagement with the customers, vendors, investor community and the market at large. 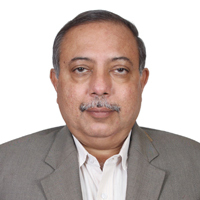 Mr. Amal is a Chartered Accountant with post qualification experience of more than 29 years. He is also Commerce and Law graduate. Treasury Management, Fund flow management, tax planning and cash management has been his forte. He had earlier been associated with AGC Networks (formerly AVAYA Global Connect) since its inception in 1987 and as Head of Finance had been instrumental in the growth of the organization. He was responsible for financial planning and taxation. In the last few years Amal has played an important role as financial advisor to Global corporations spanning financial reporting, cash management, taxation and M&A and been a Board member across multiple organizations. Mr. Amal Thakore said, “Being a part of AGC since its inception, it is indeed my pleasure to be a part of the AGC team. The main focus would be to work in collaboration with both our technology partners and esteemed customers to streamline and strengthen our associations. Furthermore, my contribution will be to align all financial operations with the company’s objective and bring stability in operations. AGC Networks is well placed in the industry which will help in delivering value to all stakeholders and maintaining the confidence they have in AGC”.